A clown at the Grangeville Rodeo, July 4th, 2005. 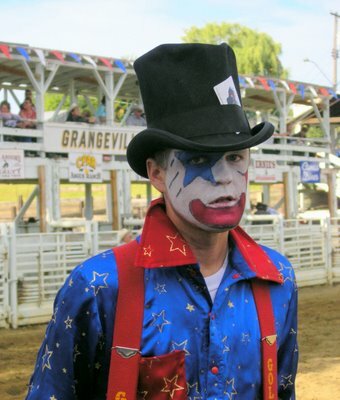 Was this taken at the biggest rodeo in Grangeville? Sure was. I believe it is the oldest rodeo in the Gem State.